SUCCESSFUL DEFENSES – TYLER LAW FIRM, LLC. The first trial resulted in a hung jury. Following the second trial, the jury deliberated for fewer than five minutes before returning a verdict of not guilty. In both trials, the judge allowed the jury to hear evidence of the driver’s prior DUI arrest, which included a breath test result that was six times the per se limit. During the second trial, in an unprecedented move, the Judge allowed the prosecutor to play the audio recording of the driver’s testimony from the prior trial. A drug recognition expert/DUI officer arrested a sixty year-old grandmother for DUI prescription drugs and DUI child endangerment. After speaking with the original prosecutor and getting nowhere, Lance bound the case over for a jury trial. Before trial, Lance persuaded the trial prosecutor to speak with the toxicologist from the Georgia Bureau of Investigation concerning whether the arresting officer’s scoring of the field sobriety evaluations could have been caused by the medication reported in the test results. The prosecutor agreed to dismiss all charges. This holding reversed a 42 year-old Supreme Court decision and resurrected Fourth Amendment protections for DUI suspects. A driver was charged with his second DUI within five years and disobeying a traffic control device. The arrest was the result of a 911 call made while the driver was passed out at a traffic light. After arrest, the driver blew 0.196 on the state-administered breath test (more than twice the limit). The breath test result was suppressed at a motions hearing and the case was set for trial. Prior to trial, Lance provided the prosecutor with the 911 recording in which the complainant, a local nurse, told the 911 dispatcher on two occasions that she did not smell the odor of alcohol coming from the driver. Based on the problems with the case, the prosecutor agreed to a reduction to reckless driving. A DUI task force officer (and DRE instructor-the highest level of DUI enforcement training) arrested the driver, describing her as loud and boisterous, unsteady on her feet, and having the odor of alcohol on her breath. She was described as having bloodshot, watery eyes and being argumentative and confused. She was scored as having six clues out of a possible six clues on the Horizontal Gaze Nystagmus (HGN) evaluation, indicating impairment. After arrest, she refused to take the state-administered breath test. After a 1 day jury trial, the jury deliberated almost ten minutes before returning a verdict of not guilty. The driver was charged with following too close and DUI. At the motion to suppress hearing, the breath test result was suppressed because the officer failed to properly advise the driver of the Georgia implied consent notice. Because the test result was suppressed and because there were other problems with the officer’s testimony, the prosecutor agreed to reduce the DUI to reckless driving. The driver was charged with DUI less safe and running a red light by a DUI task force officer. The arresting officer described the driver as having a flushed face, bloodshot and watery eyes, slurred speech, and an unsteady exit and walk. The driver admitted to drinking beer and Soju. The driver failed to complete the Horizontal Gaze Nystagmus (HGN) evaluation and was scored as impaired on the walk and turn and one leg stand evaluations. After arrest the driver refused the state-administered breath tests. The jury deliberated for 24 hours before returning a verdict of not guilty. A DUI task force officer was called to the scene by emergency personnel because the defendant was found passed out in her car, engine running, in the driveway of a home. The defendant was described as unable to speak, only grunt. Initially the she was unable to open her eyes, but later the officer observed, the “blank stare of intoxication”, and bloodshot-watery eyes. The officer asked the defendant if she lived at the residence (she did not) and then checked to see if he could speak with the anyone at the residence. No one was home and the officer assumed that, while impaired, she had pulled into the driveway. Lance was able to show that the defendant consumed alcohol at the home after she drove there and was merely sleeping in her car. 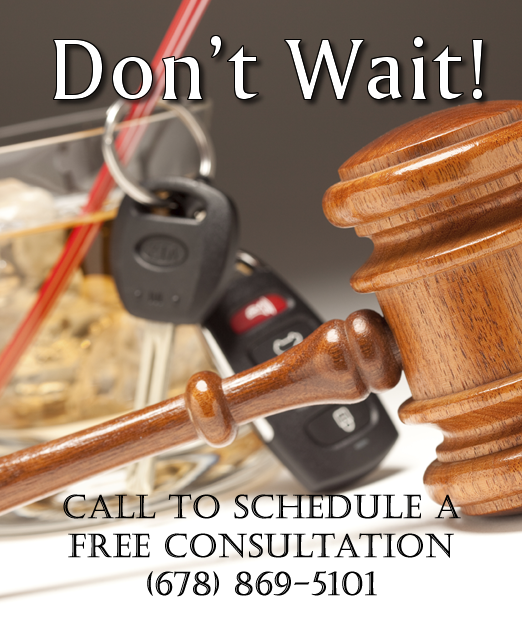 The prosecutor realized that there was not sufficient evidence to prove the DUI beyond a reasonable doubt. Because the only pending charge was DUI, and because there was no basis for a reduction to any other charge, the DUI was dismissed. Driver was arrested for a second lifetime DUI by a DUI task force officer. The officer testified that the driver had the strong odor of alcohol, bloodshot eyes, slurred, thick speech, and that the driver gave the officer a credit card when asked for his license. The driver admitted to drinking “a few,” and the exit from his vehicle and his walk was described as unsteady. The driver was scored 6/6 on HGN, 7/8 on the walk and turn, 3/4 on one-leg-stand, and was described as almost falling over. The Alco-sensor result was .117. After a two day trial, the jury found the driver not guilty. A motorcycle driver was stopped for speeding, admitted to drinking, and was described by the arresting officer as having bloodshot eyes and the strong odor of alcohol. The driver submitted to field sobriety evaluations and was scored 6/6 on HGN, 2/8 on WAT, and 0/4 on OLS. After the arrest, the driver initially refused the state-administered test, but later blew .100 and .103 on the Intoxilyzer 5000EN. Lance was able to show the prosecutor that the officer was not fair or reasonable in persuading the driver to withdraw his refusal. (see State v. Rowell, 299 Ga. App. 238 ). Lance was also able to show that the officer improperly scored the driver on the WAT and that the driver only exhibited one clue (one clue is not consistent with impairment). Facing the suppression of the breath test result and with two of the three field sobriety evaluations indicating the driver was not impaired, the prosecutor offered a reduction and the DUI was dismissed. The driver was arrested and charged with a second DUI within five years, driving on a suspended license, with no proof of insurance, and with suspended vehicle registration. At trial the driver was found not guilty of all changes except the suspended vehicle registration. After trial, the judge allowed Lance to withdraw the not guilty plea on the charge of suspended vehicle registration and enter a nolo (no contest) to avoid a license suspension. The sentence was a $500 fine for suspended registration. The driver was charged with DUI, speeding, and failure to maintain lane. The arresting officer described the driver as having bloodshot, glassy, watery eyes, slurred, mumbled speech, and staggered, unsteady walk, and described his leaning against his vehicle for support. The officer also described our client as fumbling with his license and being confused, argumentative, defensive, insulting, arrogant, and using profanity. The officer testified that, in response to being told he was stopped for speeding and failure to maintain lane, our client said, “I’m not drunk…” After a one-day jury trial, the jury found the driver not guilty of DUI and speeding charges and found him guilty of failure to maintain lane. He paid a $200 fine and went home to his wife. A DUI task force officer found the defendant passed out in his vehicle, engine running and in gear, with the vehicle partially on a sidewalk and resting against an embankment. When asked if he had been drinking, the defendant responded, “Yes. Lots.” When the officer asked if he could check to see if he was safe to drive, the defendant responded, “Yes, but I’m not safe to drive.” After arrest, the defendant submitted to a state-administered breath test with a result of .124. The defendant was also charged with possession of marijuana. Lance negotiated a pre-trial plea of nolo to possession of marijuana (thereby avoiding a license suspension for the marijuana) and entered a not guilty plea to the DUI. At trial Lance was able to show that the defendant went to sleep in the parking lot of the bar with his engine running to keep warm. While he was sleeping, he knocked the vehicle into gear and it moved across the parking lot, over a sidewalk and came to rest against the embankment. Because the prosecutor could not prove intent to drive, the defendant was found not guilty of the DUI at trial. A DUI task force officer arrested the driver for DUI, failure to maintain lane, speeding, and crossing a gore (striped area between merging lanes). The arresting officer testified the driver had the “strong, constant odor of alcohol” coming from her breath, bloodshot and watery eyes, and slurred speech. The officer told the jury that the driver was unable to follow instructions during the field sobriety evaluations, and claimed she walked out onto the interstate in front of heavy traffic and became “very unruly, very irate” with the officer. The jury found the driver not guilty of DUI and failure to maintain lane and guilty of crossing the gore and speeding. The driver was arrested for DUI at a DUI roadblock. The entire jury trial, from voir dire (jury selection) to verdict, took a total of 3 hours 52 minutes, including the 7 minutes it took the jury to elect a foreperson, deliberate, and reach a verdict. The jury found the driver not guilty and she was able to get home in time to celebrate her child’s birthday. The driver was arrested for DUI, failure to maintain lane, and driving with no headlights. The arresting officer described the driver as having bloodshot eyes, slurred speech, flushed face, and the strong odor of alcohol. The driver denied drinking any alcohol and refused to do field sobriety evaluations or the requested state-administered breath test. By confronting the officer with the jail booking photographs of the driver, Lance was able to get the officer to admit he was mistaken when he claimed the driver’s eyes were bloodshot and her face was flushed. Lance then presented evidence of the driver’s existing speech impediment to explain the described “slurred speech.” Lance used the officer’s own testimony to show the jury that the odor of alcohol on the driver was from her “making out” with her intoxicated date, and that she only refused to do the field sobriety evaluations and the state-administered breath test after her impaired date told her not to do any tests. The Jury found the driver not guilty of DUI and failure to maintain lane and guilty of driving with no headlights. The driver was arrested for her second DUI within ten years and her third lifetime DUI. After arrest she submitted to a state-administered breath test with a result of .204. The prosecutor offered a reduction to reckless driving after Lance showed him that the arresting officer had absolutely no legal basis for the traffic stop. Against Lance’s recommendation, the driver elected to enter a plea of nolo (no contest) to reckless driving rather than proceed to the motion to suppress hearing. Even though Lance told the driver that he fully expected that the case would be completely dismissed after the hearing, the driver preferred to take a “soft” reckless plea and be done with it. The driver failed field sobriety evaluations (on video) and admitted to drinking. After arrest, the driver submitted to a state-administered breath test with a result of .234. At the motion to suppress hearing, the judge found the stop was unjustified and suppressed all evidence. The entire case had to be dismissed. The driver was arrested for DUI after she was discovered passed out in her vehicle in a cul-de-sac with two flat tires. She admitted to drinking and, due to her level of impairment, was immediately transported to the hospital where she submitted to a state-administered blood test with a result of 0.30. The prosecutor offered to reduce the charge to reckless driving after Lance was able to uncover video evidence that would have suppressed the blood test results and raised doubts about the timeline of events.